Mu sister is in town and she let me give her a manicure. After the relaxing massage part she chose a design. We found one on Pinterest I was able to (somewhat) duplicate. I included some accents; a starfish and a crab. So, summer as officially begun for me. School ended yesterday and we waved all the kiddys off. It’s sad, because I’ll miss them. This is after all, my passion and to have to put it on hold, put it aside for the summer makes me sad. 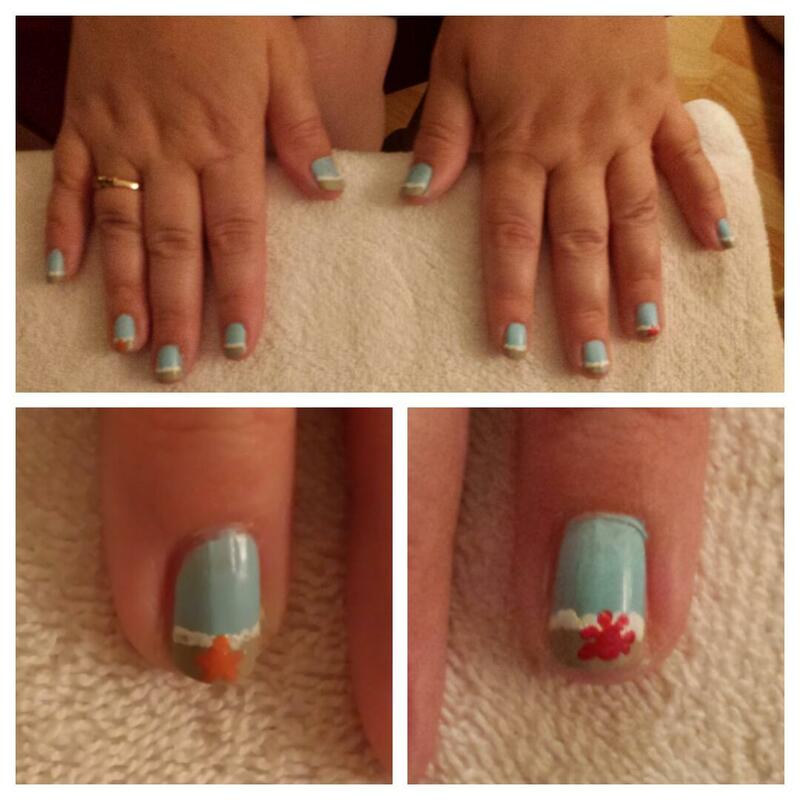 But summer should be fun and happy, so here are my happy welcome summer nails. White base, “French Tip” by Color Club. 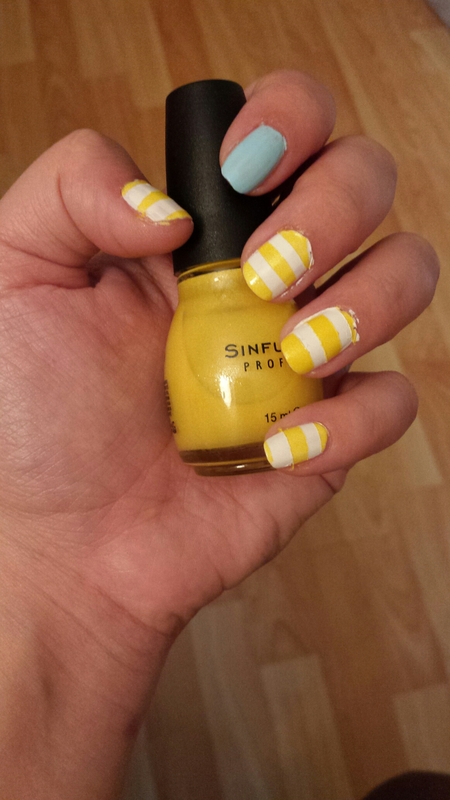 Yellow stripes, “Firefly” by Sinful Colors. Blue accent, #170, by Eva Supreme. Color Club, found at Big Lots. The other two are available at Walgreens.